This article originally appeared on the P&WC Airtime Blog. No one appreciates the PT6A’s reliability more than customers flying in inhospitable environments, who stake their lives on its performance – like Quest Kodiak aircraft pilot Mark Brown. Mark Brown still vividly recalls the nerves he felt before embarking on his first flight across the open ocean a few years ago. Marketing director and factory demo pilot for Quest Aircraft, Mark has aviation in his blood. He was born into a family of pilots and flew for the first time at the age of 13 – but even he could not help wonder about flying solo across the Atlantic on a Kodiak powered by a single PT6A-34 engine. “I’m not going to lie: I was nervous going into it,” he recalls. “That’s a lot of cold water beneath you, and the Kodiak’s only got one engine. If you have an issue, you don’t have a lot of other options,” he says. Throughout his journey from Quest’s home base of Sandpoint, Idaho, to Germany, he kept a close eye on the engine’s status, checking the oil temperature and pressure on a regular basis to ease his mind. He needn’t have worried. The needles stayed constant the entire way – a testament to how pilots can trust the PT6A-34 to perform when it matters most to them. That reliability is precisely why Quest Aircraft selected the PT6A-34 back when it was first developing its Kodiak aircraft in the early 2000s. 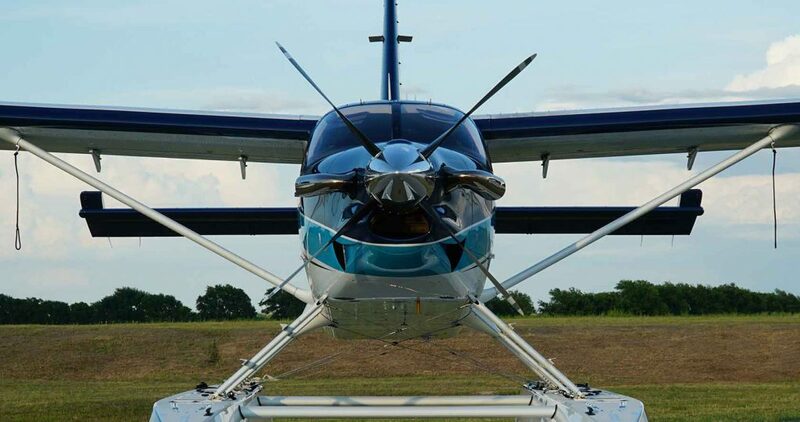 Over time, customer base for the Quest Kodiak has evolved and continues to gain popularity among owner-flyers looking for a highly capable, general-purpose and luxurious aircraft – a kind of “Range Rover with wings,” as Mark puts it. One thing has remained constant, however: every single one of the 200-plus Kodiaks produced to date has a PT6A-34 in front. Mark Brown, flying on his Kodiak powered by a single PT6A-34 engine.